Those who overcome… will eat of the hidden manna, be given a sentence of acquittal, and a restored Name, Yahweh. Today our first two speakers spoke on the necessity of adhering to Yahweh’s Laws. Obedience is key to obtaining the blessings of Yahweh. Future Priest Buffalo Bill and Future Priest Deacon Yisrayl Abel reiterated the facts that surround the blessings and curses of keeping or breaking Yahweh’s Laws. Yahweh gave mankind Laws to live by and we were reminded that certain animals were created to be eaten and others were not. Every animal has its own unique digestive system and therefore, Yahweh, as our Creator, knows which meats are healthy for us and which are not. Furthermore, the breaking of Yahweh’s Laws is evident today in the increasing numbers of STDs, cancers, birth defects, superbugs, and mental disorders. Yisrayl Hawkins had a dream a few years ago in which he saw a White Stone with three numbers accompanied with the understanding that this was his lot. The numbers he saw were 17, 28, and 74. To interpret the dream we heard from the Great Kohan David H. and the Great Kohan Benyamin C. The following are a few of the highlights from their sermons on this day. Revelation 2:17 and Exodus 19:5-6 give us details about the sons of man who overcome sin, and keep the Laws of Yahweh to become the Kingdom of Priests according to Yahweh’s Plan. The white stone of acquittal refers to authority or badge, which proves the bearer, can be trusted with the Laws of Yahweh – to teach and guide others. Revelation 2:17 speaks also of the hidden manna. Yahchanan 6:31-58 explains about Yahshua being the Bread of Life and those who choose to overcome sin and partake of this Living Bread will receive eternal life. Revelation 2:28 states that those who overcome will also receive the morning star. Revelation 22:16 tells us the morning star is Yahshua. Yahshua is the Righteous Judge and He has the authority to give the reward of authority to those who earn the white stone of acquittal. Revelation 2:17 also mentions receiving a restored name. Once again, this denotes the authority that comes from obedience to Yahweh’s Laws and overcoming all sin. 74 verses following Revelation 2:17 leads us to Revelation 5:12 that clearly describes Yahshua’s reward, which can be ours if we choose obedience and overcome sin in our lives. We also understand that the Scepter of Righteousness and Ruling Authority belongs to Yahshua. 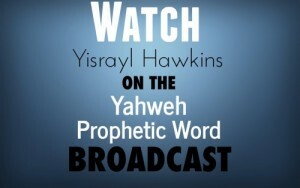 Babylon will not be brought down by physical weaponry but by the living word of Yahweh – teaching the way to peace. We conclude with the knowledge that those who earn a white stone of acquittal will receive the reward of power, riches, wisdom, strength, honor, glory, and blessings. We are assured that they will utilize the great reward fully capable of managing it without causing harm or hurt to anyone or anything.